On our recent trip to Washington, DC we were lucky enough to see the US Capitol before scaffolding covers it up for a 2-year dome restoration project. Constructed 150 years ago, the cast iron dome hasn’t been renovated in over 50 years. When we visited, the rotunda had been closed temporarily so we opted to skip a building tour. We did however explore the visitor’s center beneath the building. We found it to be well worth our time, full of artifacts and scale models showing the District’s history and our government’s various roles through time. A great start to our day on the National Mall. 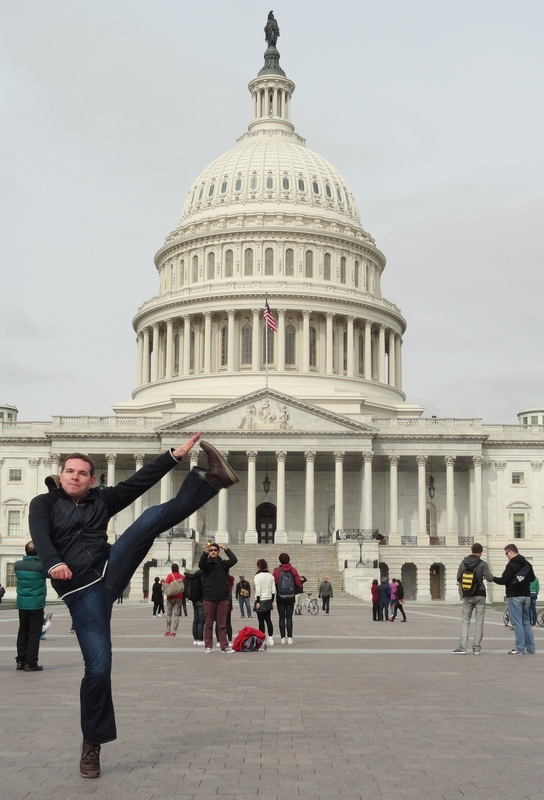 This entry was posted in High Kick Photos and tagged High Kick, US Capitol. Bookmark the permalink.